Located in the up tempo center of Los Angeles, Lasting Impressions Dental Spa is a quality cosmetic dentistry hub, where you can avail trusted and authentic dental treatment at most reasonable rates. Our aim is to create and maintain an excellent and rewarding experience for our patients. Since our practice revolves around patient centric services and assurance, we are able to deliver a reliable array of services in the field of dentistry. Our incredible care service is designed around the use of state of the art technology, friendly staff and huge variety of services such as preventive, restorative, reconstructive, cosmetic dentistry and sedation. 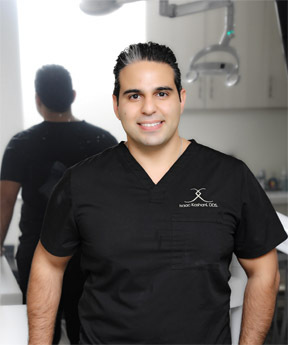 Our exponentially qualified and well-trained specialist, Dr. Isaac Kahen Kashani is an expert in the field of dental treatment who offers the highest standard of dental art service, with outstanding results and outcome in positive light. Contrary to popular belief, your dental visits to our well-equipped office are bound to be a convenient and satisfactory. Our staff are trained to take care of our patients and everyone else who visit us, in a friendly and patient-friendly way, to make it a pleasurable experience without causing any harm to them in any way. For us, taking care of our patients is central to our idea of offering convenient services to them. We create long term relationships with our patients based on our service and constantly make an attempt to redesign and innovate our services, based on our experience and patient feedback. 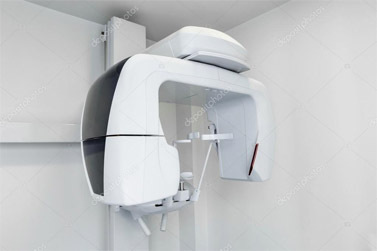 Therefore, coming to Lasting Impressions Dental Spa is a decision that you will never come to regret, for lack of satisfactory and quality services. We are sure that you will find a reason to form a lasting relationship with our staff and adept doctors. At Lasting Impressions Dental Spa, we deliver accurate dental services, under the guidance of Dr. Kashani, who is the guiding light at this leading dental hub. We believe that nothing but the best should be given to a patient who seeks aid with dental issues. This is why, our specialists have been selected after careful deliberation so that we can offer a focused and skilled talent in the field of dentistry to our patients. 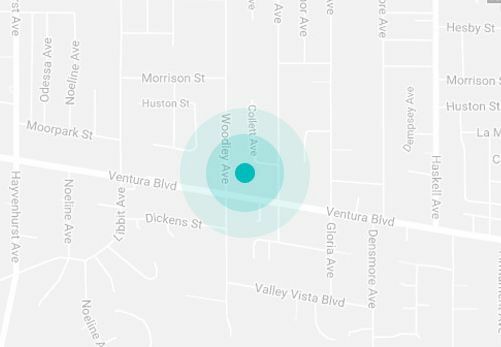 This is just one of the reasons why our service is quite popular and favoured in Encino, California. 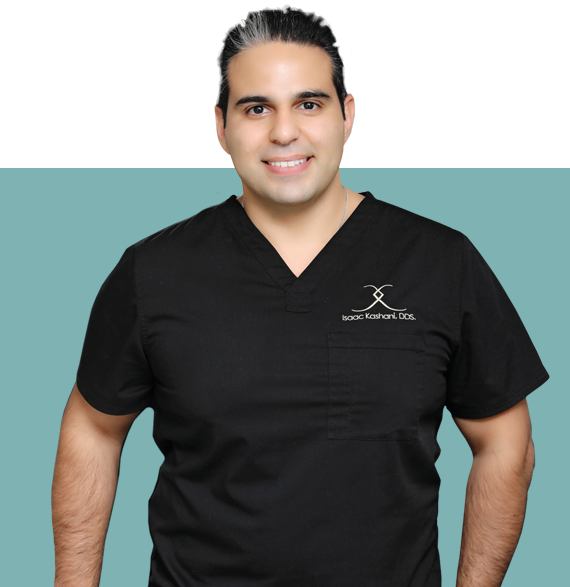 Take a look at Dr. Kashani’s profile, which will let you know more about him and his method of operation. Why We Are / Different? We understand exactly how a dental clinic or dental office is not really expected to be a happy place by a patient and how one may fear the outcome of a specific dental treatment but having so many clients rest their trust and confidence in the capable hands of Dr. Isaac Kahen Kashani, who is a qualified DDS in general and cosmetic dentistry, we feel secure about the procedures that he would carry out on our patients and ensure that they get the perfect smile post treatment. We have been featured across multifarious platforms on a dozen occasions, which gives us confidence about being accepted by our patients and earning a rank among others so that we can offer the best dental treatment to people in our vicinity. Some of the leading platforms, who we have to thank for giving us a mention are Food network, CBS news, Cosmopolitan magazine, and Emmy magazine. We have always strived to mark a clear line of distinction between the level of service offered at Lasting Impressions Dental Spa and other mediocre clinics, so that our patients can feel confident about choosing to get treated with us. Included in our team are some of the notorious names in the industry, who are the pivotal reason why we are able to deliver the treatment quality that we promise. Not only Dr. Isaac Kashani, but a team of other qualified and highly trained specialists, which includes everyone from dental surgery and anaesthesiology to oral surgeons and endodontists, make sure that we are a one of a kind dental treatment hub for people. How Can We Help / You Financially? Included among our payment options are cash, credit cards, personal checks, money orders and office gift cards which, we are sure, make it a hassle-free experience to pay for our service. Our in-house financing expert can also provide various financing options, in case your treatment is expected to last long and involves a heavy outflow of funds. We also accept most dental insurance plans as a special service to our patients, which is highly unique to our clinic. 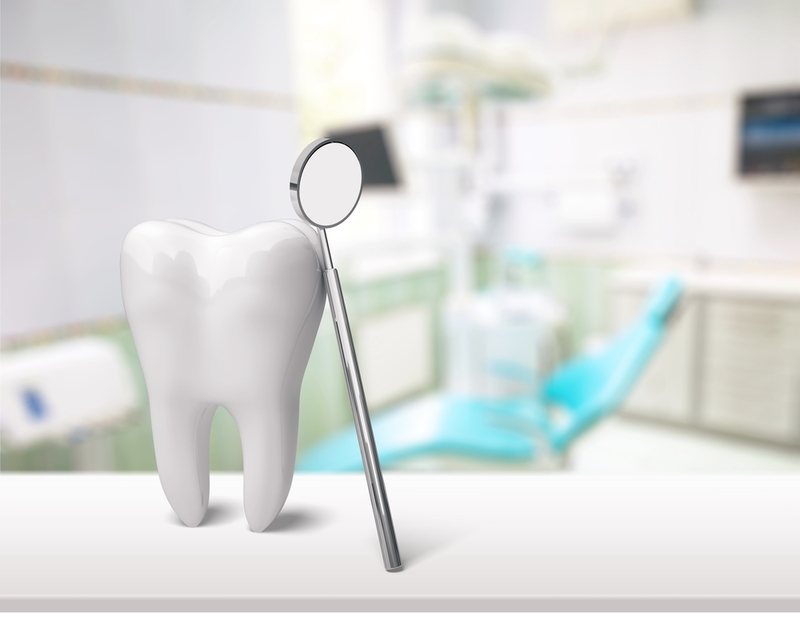 Our scope of services includes but not limited to general dentistry, crowns and bridges, emergency dentistry, root canals, cosmetic dentistry, Invisalign, dental implants, veneers and porcelain veneers, dentures, composite fillings, tooth extraction, endodontic services, deep cleaning, scaling and root planning. What sets us apart from another dental clinic is the sheer expertise of Dr. Isaac and his team, which is not here to make unruly gains out of a patient’s treatment but to offer him the best course of dental treatment that would actually come to solve the issue being faced by him. Serving a vast array of patients across Californian towns of Encino, Sherman Oaks, Studio City, Tarzana and more, Dr. Kashani is the head of our dental team, which is much talked about in these cities. 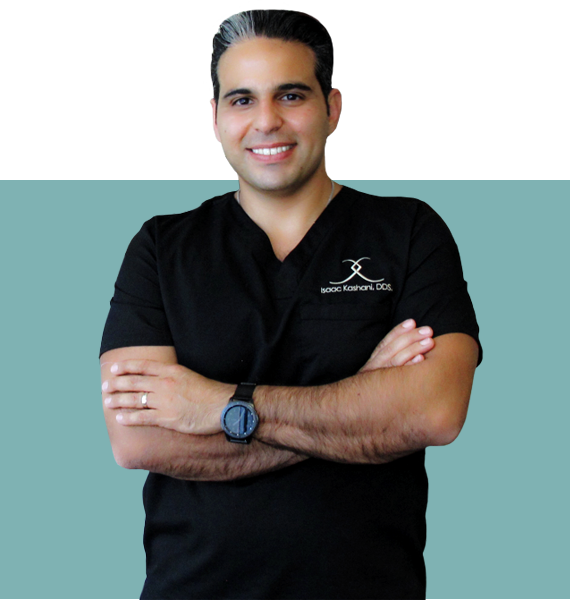 Serving our patients latest and leading demand for implants, veneers, root canal and much more, Dr. Kashani is an exponentially trained and experienced person in the field of dentistry. His experience in the field is the reason why his service is trusted and urge you to join in doing so as well. Book your appointment with us today and experience the difference at Lasting Impressions Dental Spa. Going in for a dental treatment isn’t one of the easiest tasks. We have faced a plethora of patients in the past, who have expressed their fear and doubts about the treatment and what it would take to heal completely from the entire episode, not only physically but also emotionally and financially. Having earned the rank of one of the leading dental clinics in Encino and encircling areas, we have successfully cured an abundant number of patients so far and delivered immensely satisfying results each time. Great friendly service. Dr. Kahen Kashani was very gentle, and made me feel safe and part of the process. Will use him again not only for myself, but family and friends. Offered at Lasting Impressions dental spa are a holistic range of services, surrounding the spectrum of general dentistry are replete examinations, X-ray examination, dental cleaning, and dental fillings, extractions, implants and more. Our expert team provides a very religious and focused service while diagnosing patients and evaluating general state of their dental health, also pointing out any imminent issues that might become an obstacle in the long run. We bring a range of global expertise and dental treatments through our expert team, who are trained and qualified to provide excellent dental services. Come to Lasting Impressions Dental spa for a general check-up today! We recommend a general dental check-up, not only for adults but also for your children as well, at regular intervals, to alienate the occurrence of dental issues. At Lasting Impressions Dental Spa, you can avail the most effective and durable treatment for your teeth when they require crowns and bridges to give you the most appealing smile. Our team would suggest crowns when a tooth is too damaged to undergo a filling or is missing from its place. Sometimes the walls of the tooth may be too thin to hold a filling or if most of the tooth is going to be made of a filling, the restoration may not last too long. Placing a filling on a tooth that needs a crown may cause the tooth to need a root canal or even extraction soon after the filling is placed due to its failure. The best comparison is if you have a wall with a ton of holes and a ton of patches, the wall won’t last too long if an earthquake shook it. It would soon after crack. Our teeth are constantly under those stresses when we chew. Bridges are necessary if someone is missing a tooth and they either cannot afford implants, or more importantly, there is not enough bone to place an implant. The adjacent teeth are trimmed down for crowns and a false tooth (crown) is fused to the adjacent teeth. See more about it in the crowns and Bridges section. With updated technology, we aim to deliver beautiful results on your teeth so that you can flaunt your smile all you want. Being one of the most versatile and extensive options for tooth restoration, we will need a simple dental examination to assess if your teeth need a crowning and bridging treatment. At Lasting Impressions Dental spa, we prefer making use of Zirconium crowns and bridges, which we believe to be a better alternative over standard metal appliances. Wisdom teeth pain also known as Pericornitis where food or bacteria gets lodged under the gums and requires cleaning or removal of the wisdom teeth. We understand that you might face an urgent condition with your teeth that may need urgent attention of an experienced dental specialist. Our expert dental team is fully experienced and qualified to handle such emergencies and evaluate the course of action that a given situation might need. Examination of teeth, existing dentally treated teeth, surrounding tissues of the mouth, painful conditions, any bacterial or fungal infections, fractured tooth or dental restoration and such. We understand the kind of response that each of these conditions require and strive to deliver immediate relief from any painful feeling that our patients might feel. Our services are available to anyone who might need immediate action on their teeth. As you face issues with your teeth in the form of pain or inability to chew properly, your dentist would prescribe an immediate root canal treatment. A root canal is needed when a cavity has grown and reached and infected the pulp and nerve. The bacteria travels down the root of a tooth and into the bone. Sometimes an abscess occurs if the nerve of the tooth has been infected too long. At Lasting Impressions dental spa, we provide a very simple yet durable treatment for your teeth that will relieve your teeth of any pain or inflammation in the roots. 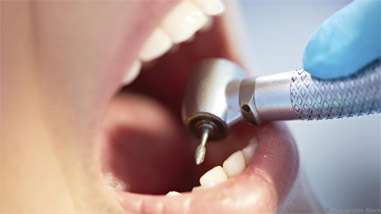 Our qualified team will carefully remove any infected pulp from within the tooth, which can be the cause for the pain. Further, they would make sure that the spot is carefully disinfected, root canals are shaped, and filling is used to seal the section. Root canals are recommended for people who suffer from gum disease or infection in gums, which would require removal of the tooth. Sometimes, the degree of a root infection extends to such a level that the dental surgeon is left with no choice but to carry out an endodontic procedure on the root. This could be sure to severe deep decay, extended dental treatments, or a crack in the tooth. As we progress in the field of dentistry, we utilise advanced technology to provide expert level dental treatment through which, we can offer endodontic surgery and retreatment services in a professional and qualified manner. You can trust our able team to handle your case in the most professional manner so that you can receive a satisfactory treatment. This treatment would be recommended by our staff in the extreme case that your tooth has suffered major damage and needs extensive dental procedures to be restored to a normal condition. We understand that your confidence takes a dip when you bare your imperfect teeth. At Lasting Impressions Dental spa, we offer excellent cosmetic dentistry services such as tooth colour restoration including chips, rough spots, cavities and cracks, uneven teeth, crooked teeth and spacing gaps between teeth, bleaching, gum contouring, tooth jewellery, porcelain veneers and more. Our cosmetic treatments are carried out with state of the art technology and under the guidance of Dr. Kashani and his able team. We have delivered innumerable satisfactory results in the past and hope to continue doing so, even in the coming days. We recommend our cosmetic dental treatments to anyone who wishes to improve the appearance of their teeth. 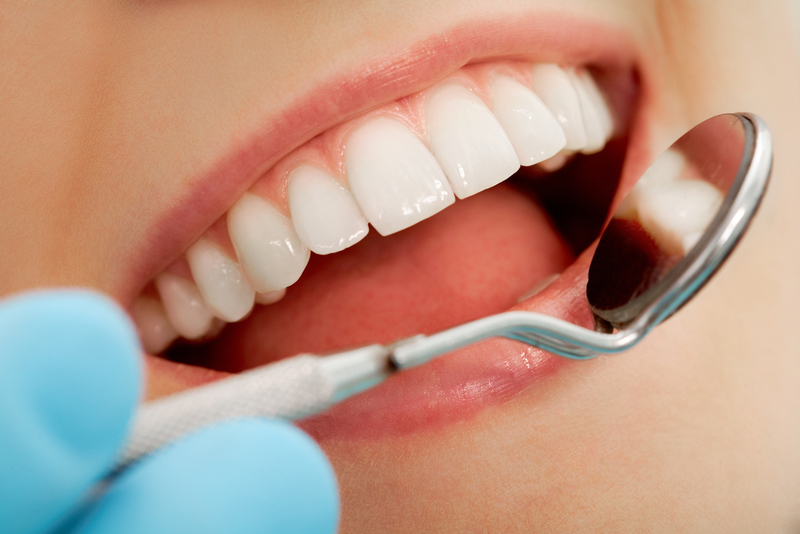 We offer a replete set of services, being one of the leading dental clinics in Encino and neighbouring areas. Our dental experts have mastered the technique which lets you smile without having to think twice. Many people have a set of teeth that they would like to have more straightened out, such that it would enhance their appearance. 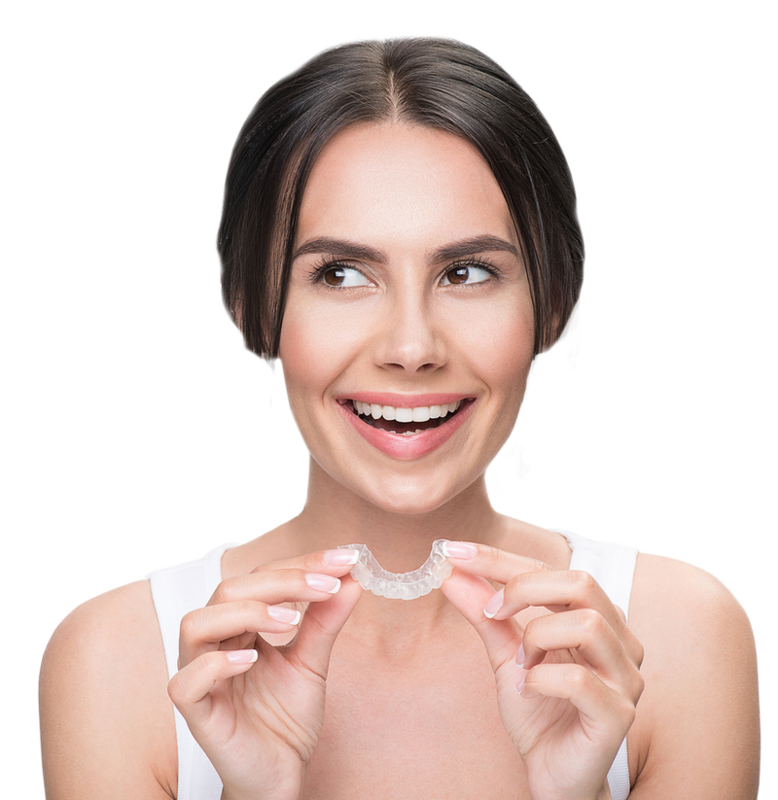 If metal braces aren’t your thing, we suggest an Invisalign, which is an ergonomic alternative to it. Without making use of any metal attachments, or glue, it can gradually help your teeth to straighten out, and can be easily removed or put on back again. We also take digital molds of your teeth with Invisalign’s own 3D scanning machine called iTero. So there is no more nasty goop in your mouth to take a mold of your teeth. We go the extra mile when it comes to satisfying our patients with our services. At Lasting Impressions Dental spa, you can avail a wide range of services that will help you smile better. We provide full and partial dentures for your teeth that can be constructed individually for a patient to replace their missing teeth. In the recent times, since dental treatments have grown by leaps and bounds, we always strive to stay ahead of the modern times and deliver services that can actually help you lead a better life and eat and speak with confidence. Dentures are highly recommended for patients who have had many or all of their teeth missing and they cannot have dental implants or bridges for whatever reason. Often, teeth undergo decaying, cracking, or fractures for one or the other reason, some of which are connected with poor dental hygiene, chipped teeth, cracked or broken tooth and more. In order to treat such teeth, our expert dental specialists would suggest getting a composite filling. Under this condition, the bad part of the tooth would be removed and filled with a filling, which would closely resemble the colour of the natural tooth. While it has its own set of pros and cons, a closer examination by one of our experts would help you make the decision whether to go for it. Composite fillings are excellent option for patients who wish to get a natural smile and avoid looking artificial. Every effort is made at Lasting Impressions Dental Spa, to retain and maintain your natural teeth, which are the most suitable for ideal chewing and eating of food. However, circumstances might occur, which would leave no scope for our dental specialists but to extract your teeth, to avoid further spread of infection or pain. As painful as it sounds, our experts make the highest degree of effort to carry out the treatment in a painless manner. You can rely on our expert dental surgeons to perform the most satisfactory treatment on you, so that you can undergo a painless treatment and come out satisfied. Our modern machinery and experienced specialists will make tooth extraction a painless and seamless procedure for you. Oral hygiene is just as much important to carry out religiously as is any other form of hygiene. If you leave your teeth untreated for a long time, you may have to suffer the consequences over time. This is why, at Lasting Impressions Dental Spa, you can avail a professional level of deep cleaning or scaling service that professionally removes plaque and tartar from your teeth. This further ensures that your teeth remain free of bacteria and germs, thriving in a healthy oral environment. Our dental experts, including Dr. Kashani’s team, strongly recommend obtaining scaling services, in case your teeth are badly occupied by plaque. If left untreated for a long time, even the slightest bit of plaque can start irritating your teeth and gum tissues. This is a condition that should be avoided at all costs, as it would lead to further issues in your teeth. In order to overcome this problem, we at Lasting Impressions Dental Spa, would recommend undergoing root planning services. 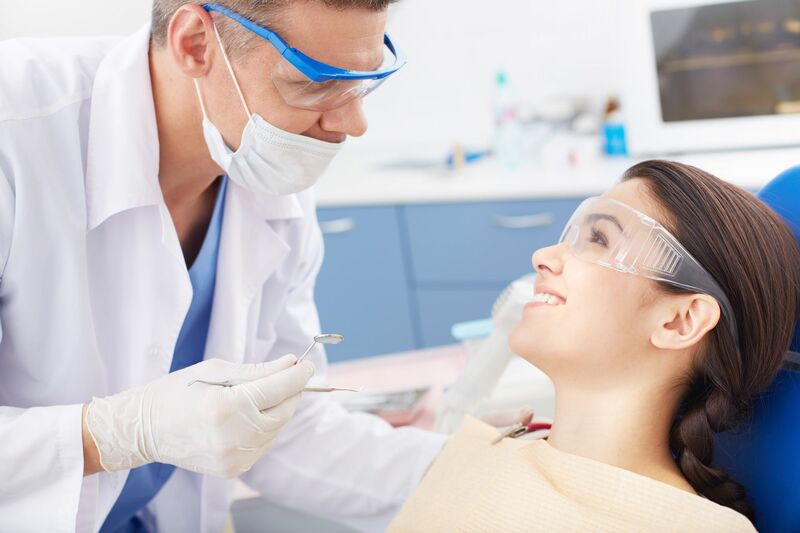 While carrying out root planning, our expert team will eliminate any plaque that could potentially lead to formation of toxins at a later date. Get your teeth treated with us today for a better smile and set of teeth.